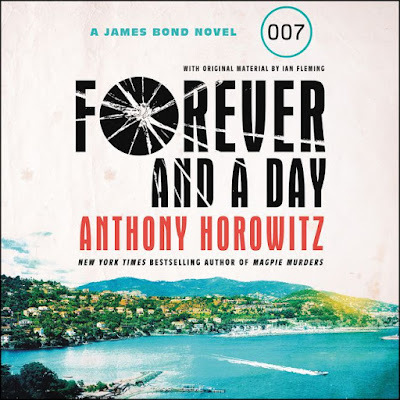 Now that we've confirmed the U.S. cover art for Anthony Horowitz's Forever and a Day, here's the audiobook. As usual, some are grossing about how this is vastly inferior to the UK art, but I really like it. I think it's the best U.S. cover we've had in some time. You can pre-order the U.S. edition of Forever and a Day at Amazon.com. Release date is November 6, 2018. But if you can't wait, know the UK edition is out on Thursday.